Heroin’s effects last longer than the effects of drugs like cocaine and meth, but it has a particularly short half-life of only 30 minutes. This means that if a user takes a single dose of heroin, it will take 30 minutes for half of the drug in the person’s system to be flushed out. Some studies suggest that this half-life is as short as 3-8 minutes. Heroin is an illegal opioid, classified as a Schedule I controlled substance in the US due to its addictive quality, damaging nature, and the fact that it has no approved medical use in the country. It’s typically smoked, snorted or injected directly into one’s veins for a fast, euphoric high, followed by feelings of contentment, relaxation, and sleepiness. The rate at which heroin leaves the body, of course, affects how long it will take before the substance is no longer detectable in various drug tests. The drug tests approved by the Food and Drug Administration (FDA) for heroin are those for the blood, saliva, urine, and hair follicle. Newer, more advanced tests can detect traces of heroin in the system for a longer period of time since the last dose. Many tests now look for heroin metabolites, which are created when the liver metabolizes the drug. These stay in the system much longer than the actual intoxicant. Most of the time, heroin is no longer detectable in a person’s urine after just 2 days. However, certain tests have been known to have a positive result for this drug for up to 7 days. Blood and saliva tests aren’t often used for heroin due to the fact that this opioid, like many others, has such a short half-life. It can therefore take only 5-6 hours for the drug to become undetectable in these fluids, though they can possibly be found for up to 2 days. The only test that works for longer than a week is the hair follicle test, which can detect heroin for up to 3 months or more. However, there are many possible factors that can interfere with hair tests. It’s also important to note that heroin can generally be detected much longer in the systems of long-term, heavy users. 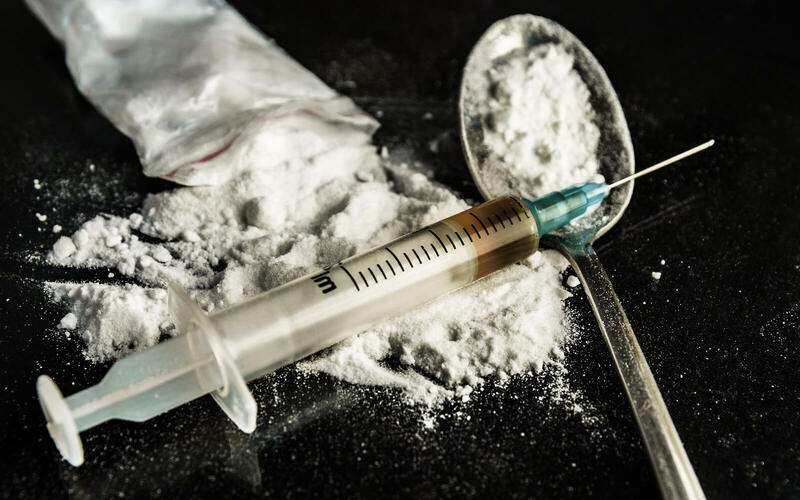 This is because excessive use causes the drug to be stored in fatty tissues that take much longer to be flushed out than substances that are merely in the blood and other bodily fluids.Heroin is considered to be one of the most addictive drugs in the world. Alarmingly, heroin use has been on the rise in recent years, with the number of first-time users rising from 90,000 in 2006 to 156,000 in 2012. Its use is spreading, from being concentrated primarily in poor, urban areas to more suburban and affluent neighborhoods. The pull of heroin can be strong, but there are many treatment options for this type of drug, including medication, rehabilitation centers, and addiction therapy. No one is beyond help when it comes to addiction, no matter how bad the problem may seem.